This past Saturday I participated in my first Driveway Con. My pal Tony Isabella and I were lamenting the fact that we weren’t going to be at Comic Con in San Diego this year when Tony got the bright idea of adding a Comic Con style panel to his Saturday Garage Con. Tony calls it something else, but I call it a Garage Con just as I did in the strips about Tony’s happening that ran in Funky this past week. 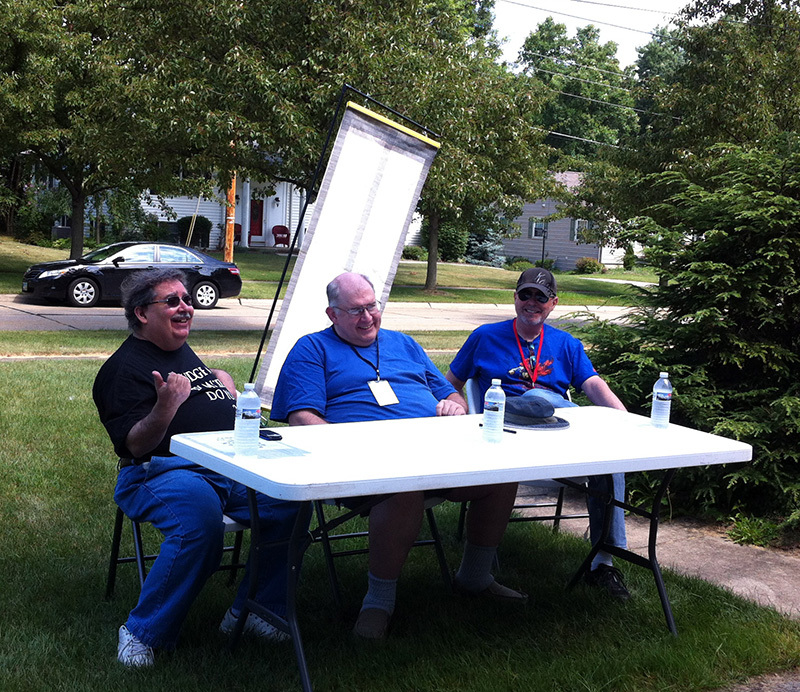 The idea was just charmingly goofy enough that I agreed to join Tony and Mike Barr on the panel. We even had our own badges, which was my only stipulation because I wanted to add it to my badge collection. I’m pretty easy like that. Quite frankly, it played out pretty much like any other comics panel I’ve been on except that it was in Tony’s driveway. And as far as far as comic cons go it was a lot of fun. It was sort of a back to the basics comics experience with people gathering together simply for the love of comic books (although being able to buy a comic book for a quarter was I’m sure a part of it as well). Good folks to chat with, good questions for the panel, good costumes, and a good time had by all. You can’t ask for much more than that out of a comic con and I doff my baseball cap to Tony for reminding us what it’s all about.